Manchester City and Chelsea are reportedly interested in bringing Leonardo Bonucci to the Premier League. 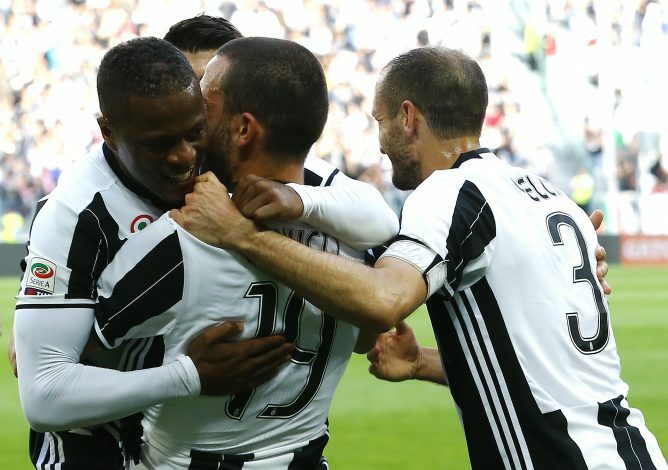 Bonucci was constantly linked with a move to England this past summer, but a transfer away from Juventus seemed unlikely. Juventus were instead concentrated on Paul Pogba’s record move to Manchester United, and reports concluded that the Italian side were unwilling to sell another high-profile name during the summer. Manchester United were believed to have been open to the idea of having Bonucci included in their Paul Pogba deal, but it would have cost the club an extra £50 million. Chelsea and Manchester City have now emerged as leaders in the race for the 29-year-old’s signature, but Juventus will remain firm on their £50 million price-tag. Chelsea seemed to have the edge over Manchester City in the transfer race, chiefly due to their manager, Antonio Conte, who coached Bonucci at both club and country level. However, Manchester City’s favorable financial situation could prove to be the final deciding factor in the matter. Bonucci himself spoke about how he had the opportunity to join Manchester City during the summer, but instead opted to prolong his stay in Turin. “I did give it some thought. Guardiola’s insistence destabilized me a little,” Bonucci told reporters. “I did not speak to Pep directly, it was just an exchange of thoughts with my agent. It was tempting, but I decided to follow my heart in the end. The Citizens had reportedly lodged a €50 million bid for Bonucci, before being turned down by the player. Bonucci joined Juventus in 2010, and has since played over 250 games for the Italian side, helping the club win five consecutive Serie A titles. His current contract runs out in 2017.